Lead PC Serial data transfer, 25D male to male. 2mts. York AV | Leads | PC Serial | Lead PC Serial data transfer, 25D male to male. 2mts. A very unusual wiring configuration used to connect two serial ports. 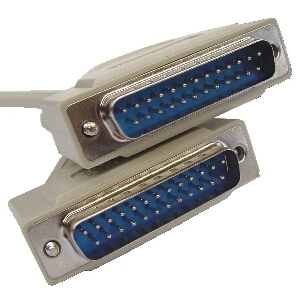 Also use to connect DTE to DTE serial ports.